Julianne Finnegan has experienced relationship issues, career confusion, and is overshadowed by a successful sibling. Yet, ‘Julianne’ is not about a poor, broken, desperate girl, but about a well educated woman. She’s looking to forge her own way without the help of his reputation or his means. Through an unexpected encounter with Oliver, a handsome young actor who struggles with demons of his own, Julianne begins to learn about faith in herself and in others. Torn betweet two good men, she is faced with some difficult choices. 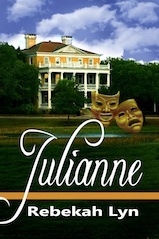 Julianne” is A story of liberation, of self discovery, and purpose fulfillment. I am a Christian and a graduate of Jacksonville University, Jacksonville, Fl. I chose to write Christian fiction out of a desire to provide encouragement to believers and an invitation to non-believers through a realistic portrayal of life. While my books may have a happy ending, the characters will have faced the same struggles everyone deals with, but find their strength in faith Jesus. He was finally coming. He told Desiree that once her task was complete, he would be there to pick her up. And they could finally be together forever. Desiree was finally going to be with the one she loved. But what did she need to do? And how was she going to figure out what it was? Desiree’s life has been less than perfect. All she wanted was to find true love. To everyone on the outside she was beautiful, fun loving, and the life of the party. On the inside Desiree is afraid. 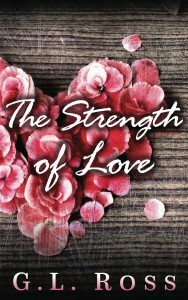 Her fear of rejection places her in situations that will alter her life forever and possible tear her family apart. She has the love and support of a good friend, but more importantly she has her prayers. As Desiree makes changes in her own life, she slowly realizes that her dreams are within her reach. 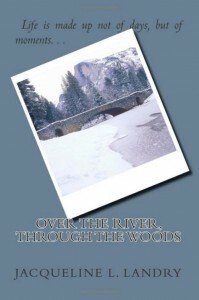 Journey with Desiree as she reflects on her life, through both good and bad times and discover what is really preventing her from having the ultimate dream. True love!! !